Dan: I can't kill him! [Lord Lambourne] brought me up! Just like a father. 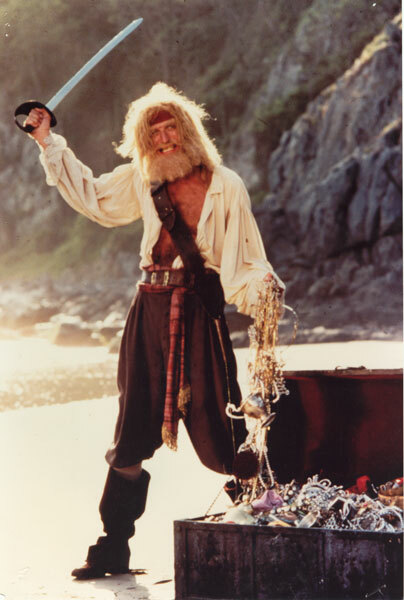 Yellowbeard: Oh, you mean he's beat ya and kicked ya and smashed ya in the teeth? Dan: He's been kind and gentle. Yellowbeard: What kind of a father is that? Kill him! Being an effective parent is a matter of perspective, really. I am reminded of the absurdly comical scene above by memories of my mother, who both bit me and offered me a cigarette before I was ten. It was, in both cases, "good parenting." As did many people of her generation, my mom smoked. She knew it was not good for her, but at the time she started, as a teenager in the fifties, word was not that strong, regarding smoking. She started and she was addicted... When I was little, I asked her what it was like to smoke. She said, "Wanna find out?" and offered me her cigarette, instructing me to "breathe in deeply." In the age of judgmentalism and public shaming, we set inflexible rules. We watch each other. What if a neighbor walked past my house today and looked in the window and saw me offering a cigarette to my eight year old son? -- or if I were walking home after picking my eight-year-old son at school and I employed my mom's perfect technique? Someone would call the division of family services and I would be in danger of losing my kids.